Mahindra & Mahindra's managing director, Pawan Goenka has stated that the company will launch the first Jawa motorcycle in India by the end of the next financial year. Speaking to MoneyControl, Goenka spoke about Mahindra's two wheeler arm and its future plans. Mahindra will launch Jawa motorcycles under the same brand name and not bear the Mahindra brand name, at all. We expect Mahindra Two Wheelers R&D to work on an India specific Jawa lin. These motorcycles will be sold via a newly set up Jawa dealer network. The first model to go on sale could also be the Jawa 350, a retro motorcycle that could go up against the Royal Enfield Classic 350. 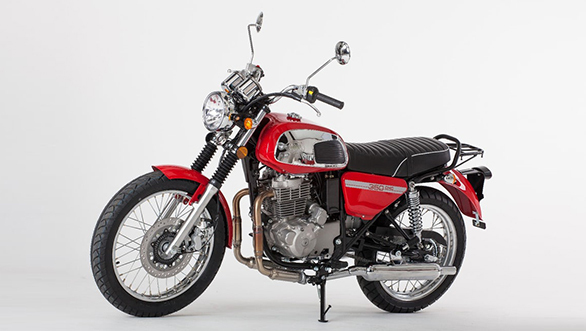 This, however, is largely dependent on the price point that Mahindra positions the Jawa 350 at. Mahindra had recently acquired Jawa as well as BSA and French company, Peugeot Scooters. You can read a detailed analysis of Mahindra Two Wheeler's game plan here.